The 2” x 1” LCD window is easy to read with all the necessary information – clearly displays speed, distance, time, calories, and pulse. 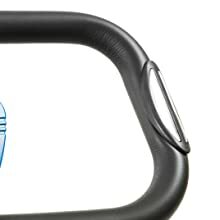 Monitor your heart rate at any time with the convenient handlebar mounted pulse grips. 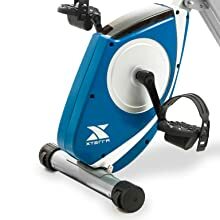 The manual resistance settings are easily controlled through the large dial tension knob for users of all fitness levels. 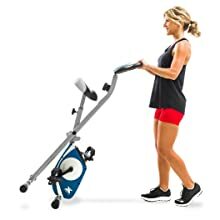 The 3.3 lbs precision balanced flywheel with friction-free magnetic resistance provides smooth, quiet, and maintenance free operation. Allow for easily moving your equipment when not in use. Solid X-frame design folds to just 16.75” x 18” of floor space when not in use. 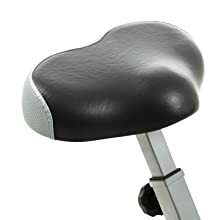 The large contoured seat is designed for long lasting comfort and support. 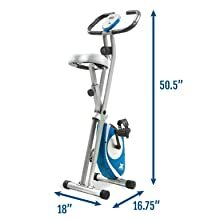 XTERRA FB150 Folding Exercise Bike, Silver. 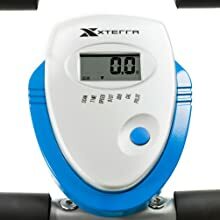 8 levels of manual resistance are easily controlled through the large Dial tension knob for users of all fitness levels. 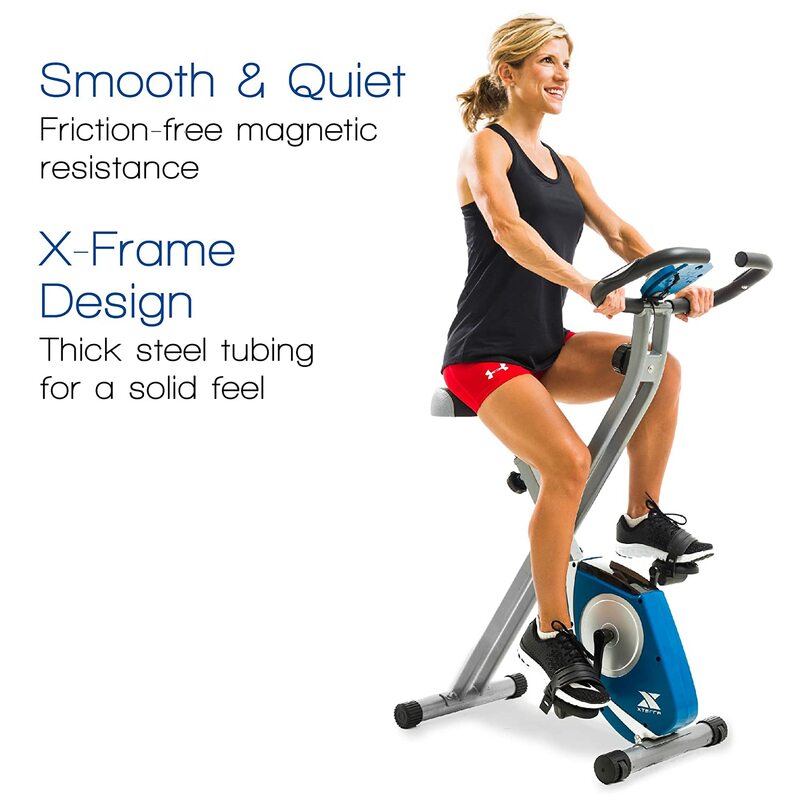 Large anatomically designed seat and multi-grip padded handlebars are designed for long lasting comfort and support.